Coming off from a Friday night shift, I already knew that it’s going to be fully booked and fun-filled weekend of December 3, 2016. In the morning until about noon, I was in the corporate sportsfest where our team was playing for the championship title. And without any rest (whew! ), I got ready for the afternoon’s music run in McKinley West. At 3pm, the traffic was already building up in all parts of Metro Manila, especially along the main roads. And I had a difficult time getting a ride. Thankfully, the cab I hailed willingly drove me off to race venue. Half past three, I was still stuck in the middle of C5. At 4:10pm, I was roughly 500 metres away from the race so I got off the cab. I was already late for the 4pm gun start. Since the runners were flagged off in waves, I decided to join the final wave at 4:30pm. When I reached the race village, I claimed my race kit from the media centre, and proceeded to the media tent to change into my running clothes. Once ready, I hurried to the start line and was just in time for the final wave flag off! I’m already used to buzzer beating in races, anyway, so, this wasn’t really new to me. Teehee! Unfortunately, I wasn’t able to catch up with Redge and Franc since I arrived late for the 4pm gun start. Ready for the #TheMusicRun and #LiveThe Beat with #Lightwater. At the start line, the DJs were spinning upbeat tracks which made the runners already grooving! When the 10-second count down commenced, excitement was simply exploding! As soon as the final wave left the the start line, the fun vibe was overflowing. It can no longer be contained. It was epidemic and infectious. I knew right there and then that it’s going to be an epic five kilometre of running, errr…grooving and strutting. I haven’t been wrong. As soon as I passed the Rock Music Zone, I caught up on a fellow blogger-runner The Running Diva” Roselle and a long time good friend Marga. Roselle and I were actually dancing our way from station to station, walking at times, and taking a lot of selfies! Then, we bumped into Running Pinoy Dennis who gamely joined us. In the Pop Music Zone, we danced with Britney Spears’ Hit Me Baby One More Time – on stage, and dear Marga was taking the video for her documentation! Oh, how The Music Run™ actually let us do crazy things. Ahahah..! From our usual fun runs, we blended with the crowd. And I must say that we blended really well. You can tell we definitely loved this race! The Old School Music Zone was a simple musical throwback. But judging from the tracks being played, those weren’t old school music, to be honest. There must’ve been a mix up of the playlist. Nonetheless, old school or not, come on, it’s the music that matters! The Hip Hop Music Zone featured a group of dancers who truly embody the hip hop culture. It was not uncommon to see the Music Runners stop by and get into the groove. There was even a graffiti of the urban community. The route led us to the black tent. Once inside, it felt like you’re in the dance hall as the music reverberated in the air. Neon lights were all over! It was the Dance Music Zone! What a cool way to prep up for a short but sweet sprint to the finish line! A 5k distance which I finished in 1 hour + FUN! The finish line was teeming with runners and the marshals were all waiting for us handing us our well-earned medals. And frankly, this was my longest 5k race – ever! What’s best about this race is that, I met so many running friends, who instead of running, chose to guide all the runners as route marshals. I’m just so glad to be running the same race with my kapatid Sheila Leyva.We crossed the finish line in 1 hour plus fun. Lots of fun, actually! 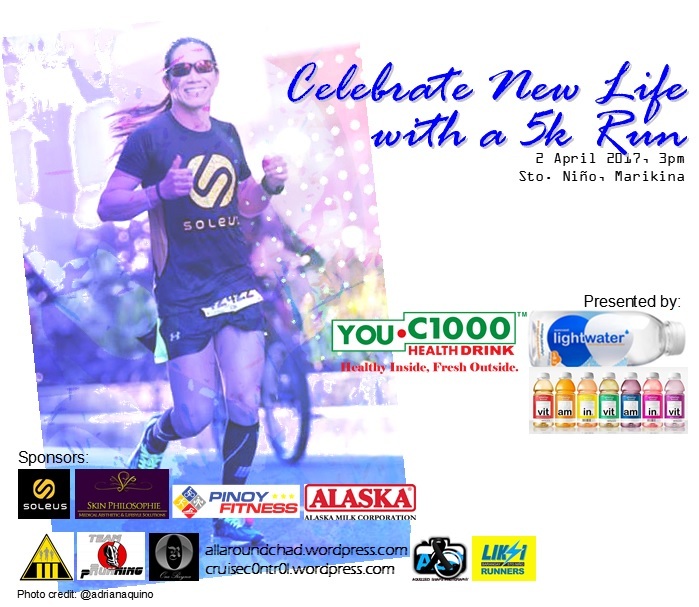 Thank you, The Music Run™ by Philam Vitality for another awesome and memorable race! See you next year! Upon arrival at the Kuala Lumpur International Airport 1 (KLIA), our tour guide was already waiting for us. While on board the tour bus going to our hotel, our ground handler briefed us with our itinerary while in the city, and oriented us with what to expect during our stay. The bus ride from KLIA1 to the city was smooth. Thanks to the modern infrastructures and wide freeways. At midday, I knew that the temperature could be already be hot, which could be no different from our country. So, I would say that you are already used to that. Two days wasn’t long enough to see most of Kuala Lumpur’s main attractions but somehow we’ve managed to check out some of the best places to dine in, places to go to and a must see festival. Despite of the scheduled activities, here’s Kuala Lumpur in two days. Checking in at the Corus Hotel. 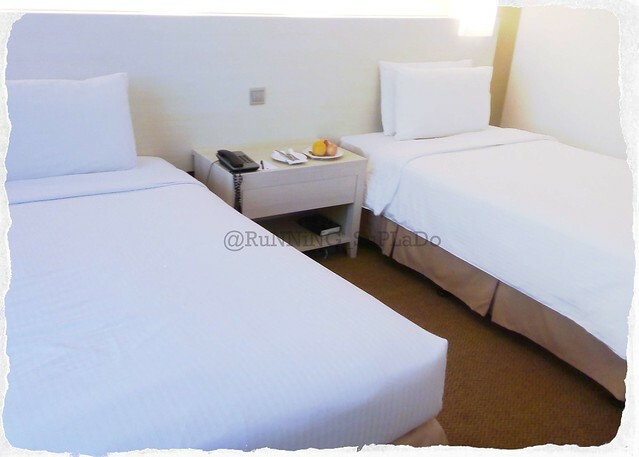 It’s a good place to stay if you’re in Kuala Lumpur because it is located near the malls, money changers, parks, restaurants and coffeeshops, and is accessible by public transportation. 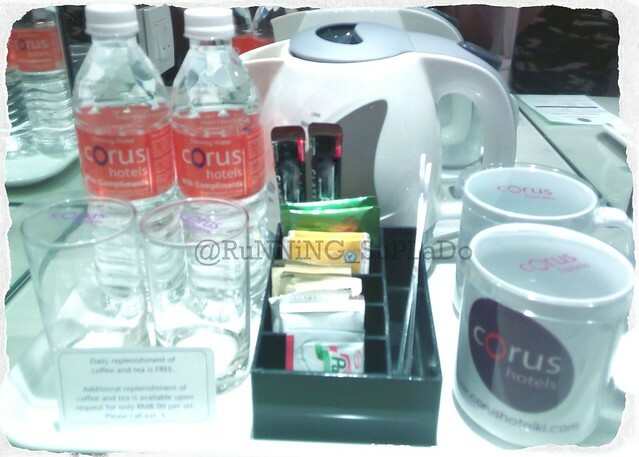 While it is already expected that in a hotel business that staff should be courteous at all times, I would say that the Corus Hotel staff is exceptionally polite and accommodating. Our room has a cosy feel, and is perfect for that much needed rest from a long travel or the day’s itineraries. Wake up to mornings and start your day with a coffee or tea right in your room. Unwind with a few bottles of beer, a shot of your favourite liquor or a glass of cocktail at the lobby bar while enjoying good music ranging from easy listening tracks, powerful ballads, retro, pop and dance tunes from a Filipino band Music Notes. 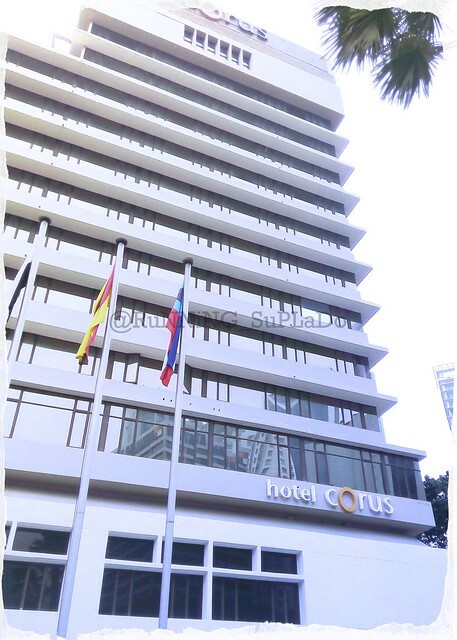 Check http://www.corushotelkl.com for more information. Now that you’re in Kuala Lumpur, spare some of your ringgits and experience walking through the footbridge connecting the Petronas Twin Towers. That’s an amazing and could be a once in a lifetime experience while in the city. 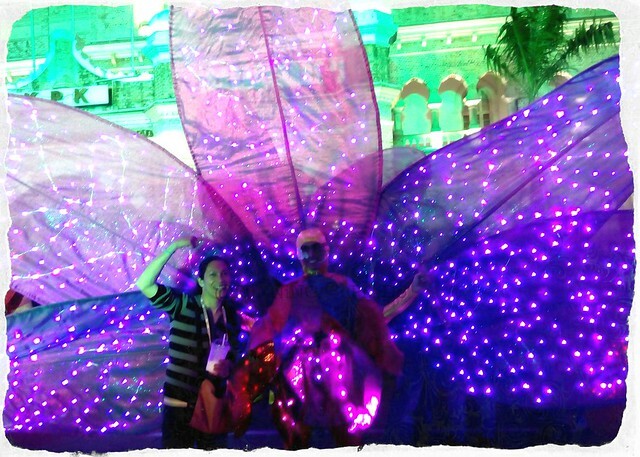 And yes, don’t forget to see its magnificence at night when all the lights come alive. As one of the tour sponsors, Felda Investments treated us to a one of a kind dining experience at the D’Saji. 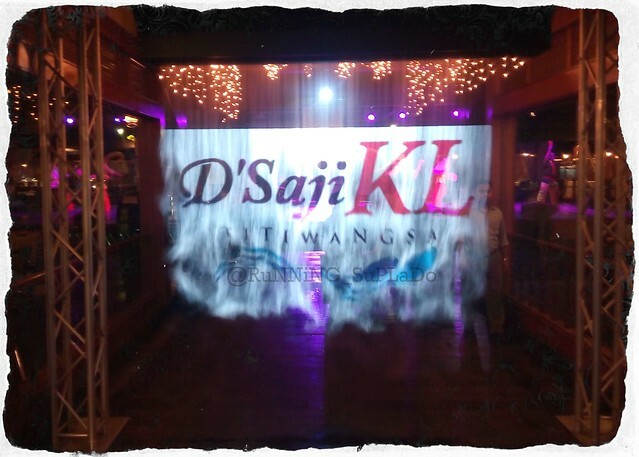 D’Saji – Titiwangsa is a perfect place for gatherings, banquets, wedding receptions, and seminars as it can accommodate a large number of guests. It offers a wide array of sumptuous menus from salads, soup, a barbecue buffet, and desserts. The main dishes include Malay, Indian, Chinese and Arabic cuisines. Enjoy their servings of local specialties like the tapioca, sweet potato and and steamed banana complimented by their special condiments and sauce. While enjoying the good food, be entertained with the live music from a local band, and see the Malaysian culture unfold as groups cultural dancers take centre stage with their graceful performances. For more, visit www.dsajikltitiwangsa.my. Our second day in Kuala Lumpur brought us to a mega fam press conference, lunch at the Sheraton Imperial Hotel, where we received our Certificate of Appreciation, and a visit to Malaysia Tourism Centre (MATIC). The Malaysia Tourism Centre has practically what a tourist needs: currency changers, coffee shop, souvenir shop, and a 24-hour police assistance desk. 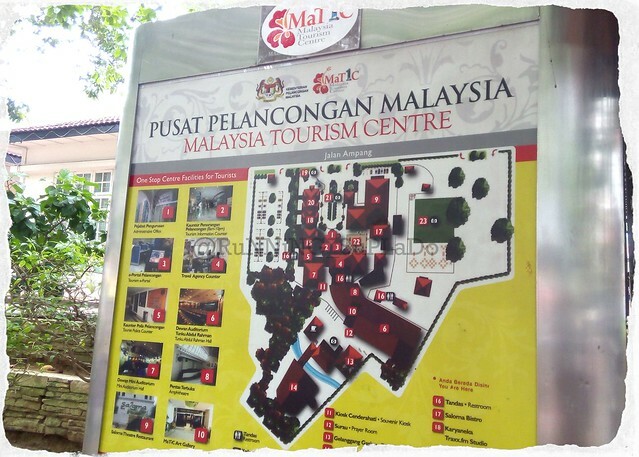 Site map of Malaysia Tourism Centre. Tours can get you thirsty and hungry. And if you happen to be in the vicinity of MATIC, indulge in some local milk shake and fruit smoothies. You can try to haggle as well with some souvenir shirts and other items. There’s also a Cocoa Boutique. You may want to check out their locally made chocolates. Food stalls and bazaars near MATIC. 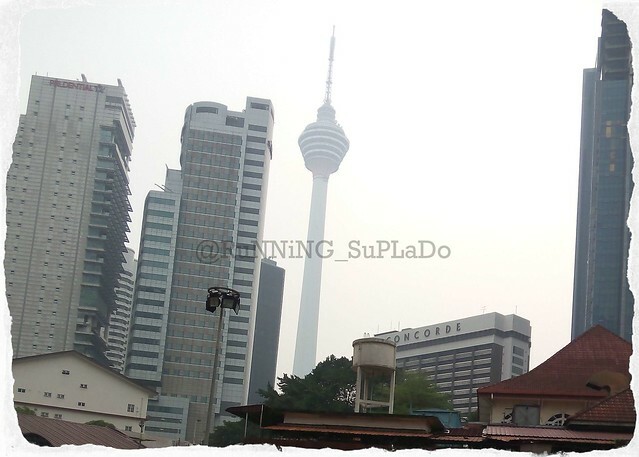 The KL Tower as seen from MATIC. See Kuala Lumpur from the top of the world’s 7th tallest communications tower. The KL Tower features an Observation Deck and the Atmosphere 360°Revolving Restaurant. Do you think that wasn’t much for two days? Hmmmm. I don’t think so. Because we were about to experience one the biggest festival in Malaysia as we capped our two days in Kuala Lumpur with a trip to Merdeka Square (Dataran Merdeka, the site where independence from the colonial rule was declared. That’s how the place got its name.) for the annual Citrawarna Festival. 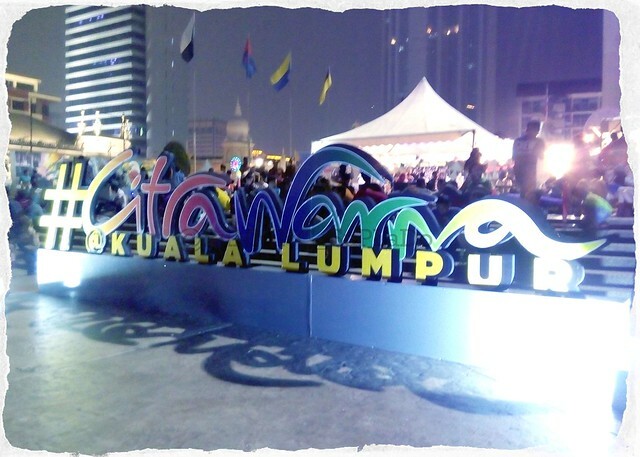 Citrwana is a grand festival showcasing Malaysia’s rich culture and traditions. Coming to the event gave me a new perspective on how a cultural event should be staged. The event featured approximately 600 performers and staff, and a 50 feet by 20 feet digital backdrop that retracts upwards. Multitudes of spectators, locals and tourists alike, came to event to watch the well-prepared performances of the best actors in the local entertainment industry. 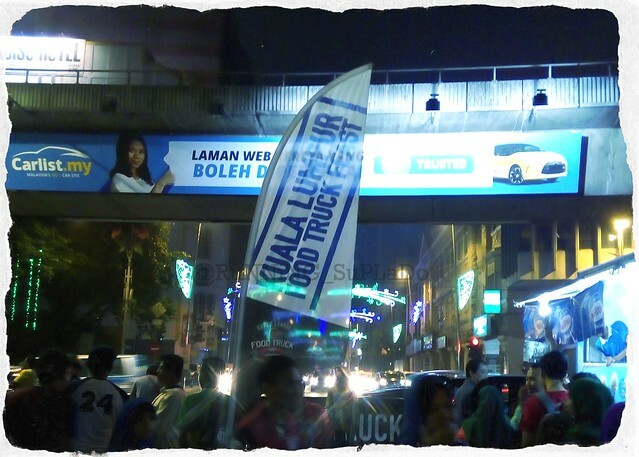 Like any festivals, there are also side events within Merdeka Square. There’s a Food Truck fest going on, there are booths selling souvenir items and a local acoustic band playing nearby. All these happening as the main shows rolled at the huge centre stage. Together with Sarah, Rochelle and Aziz, we took the opportunity to see some places of interest and check out what’s going on around the place. 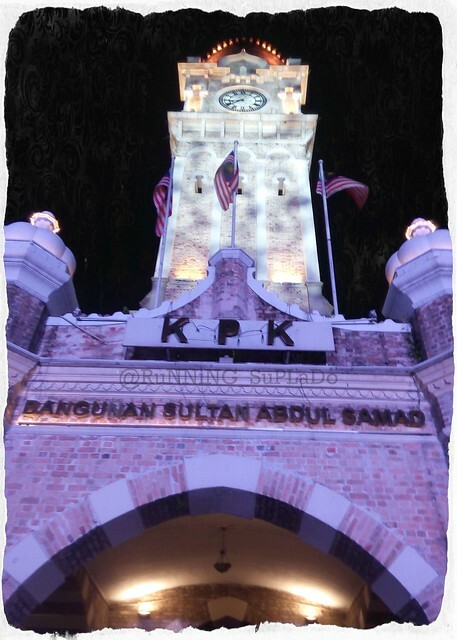 The 41.2 metre clock tower at the Sultan Abdul Samad building in Merdeka Square. Food Truck Fest was a crowd-drawer. We tried a coconut milk shake from one of the food trucks. One can never go wrong with a well-blended coconut milk shake. Cheers! (In the photo: Jared, Sarah, Rochelle and Aziz from Brunei). While the show was rolling onstage, I got the chance to have a photo with one of the performers backstage. We got the best seat during the show! The 600+ performers during the finale. 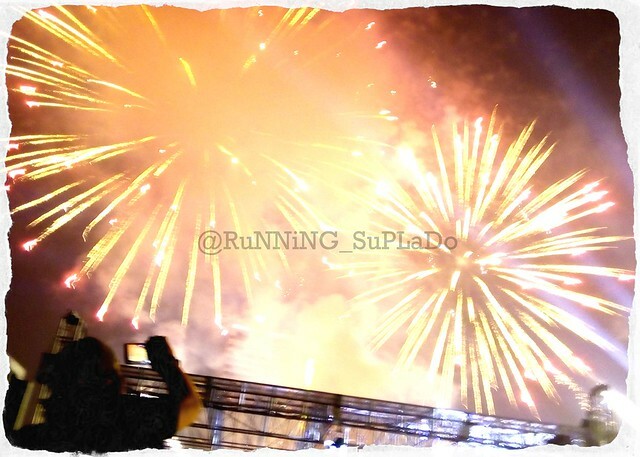 The awesome fireworks display concluded the very festive show. 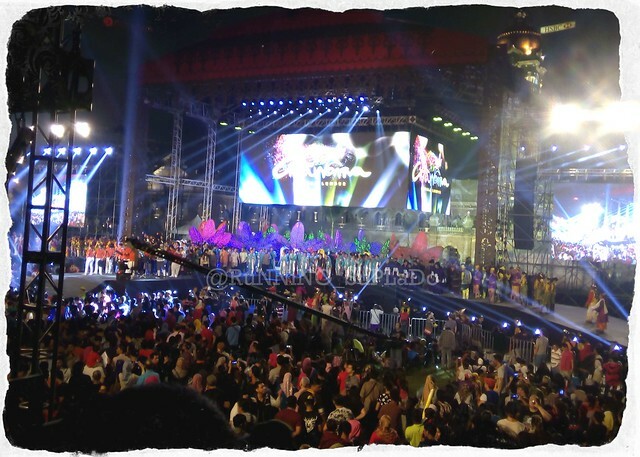 The cultural presentation was divided into three acts, which brought everyone to look at the history, the current, and the future of what Malaysia envisions it to be, that were depicted in various forms of performances. Aside from the cultural presentation, the show also featured local designers and their creations. And if there’s only one word to describe the whole event from the production side to the performances and the side events, it would overwhelming. That sums up my two days in Kuala Lumpur. 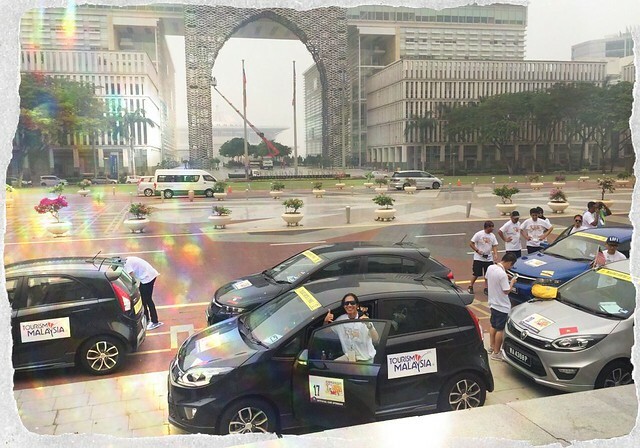 Watch for the Malaysia Tourism Hunt 2015 road trip! 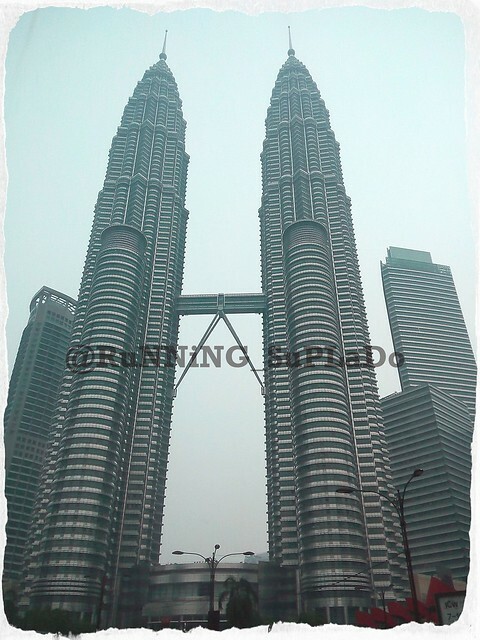 For more Malaysia Tourism Hunt 2015 videos, visit www.youtube.com/RuNNiNGSuPLaDo. For more information, visit www.tourismmalaysia.gov.my. 2015 was a year of many things to reckon. It was a busy year, too! 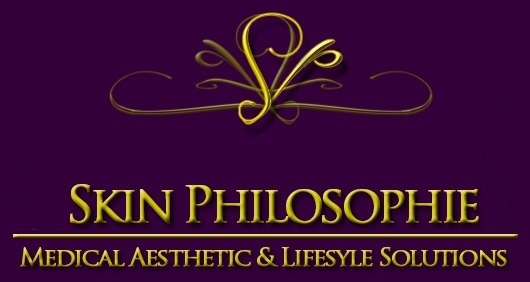 Community management for social media accounts became a second nature to me. Social media coverage included GMA New Year Countdown, MyxMo, Alaska Crema Food festival, Alaska Aces, and Alaska sports events such as Alaska Power Camps, Jr. NBA-WNBA Philippines and Alaska Football Cup. I have learned the ins and outs of live sports coverage that I got to do live coverage of triathlon events (Alaska Ironkids, 5i50, Ironman 70.3) where I go onground to give exclusive and first hand live updates on the Pros and the Filipino elites from the swim start, the bike leg, run leg down to the awarding ceremonies. 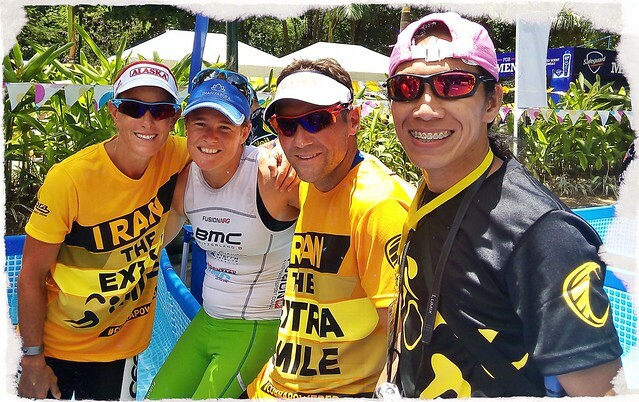 With Ironman Pros (from left): 15x Iroman Champion Belinda Granger, Dimity-Lee Duke and Justin Granger. 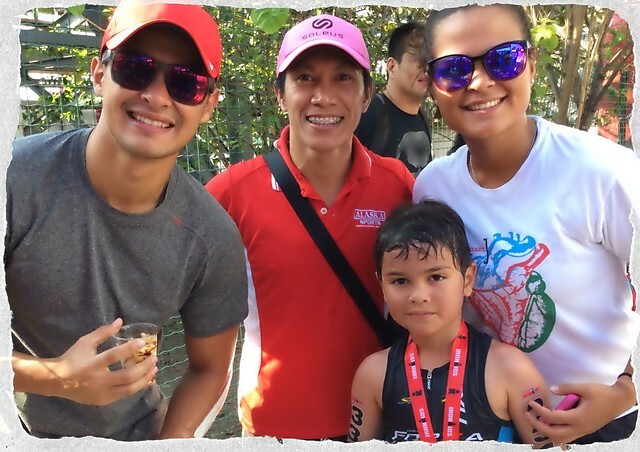 With Matteo, Giorgia and Paulo Guidicelli during Alaska Ironkids Triathlon, Subic. Doing triathlon events is a thrill because I have the direct access to the Ironman Pros like Belinda Granger, Caroline Steffen, Brent McMahon, Pete Jacobs and a whole lot more! I even had a photo with Formula 1 champion Jensen Button! And of course, I got the chance to be upclose with some local celebrity triathletes, and even got to meet the Guidicellis! 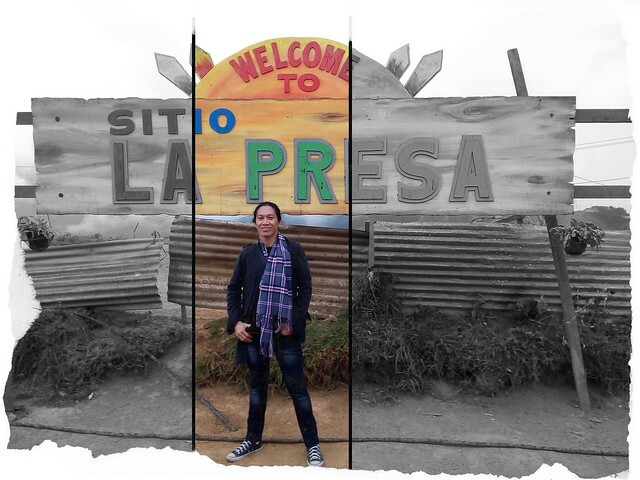 At the famous La Presa of the tv series Forevermore. These live coverages brought me to out of town trips. 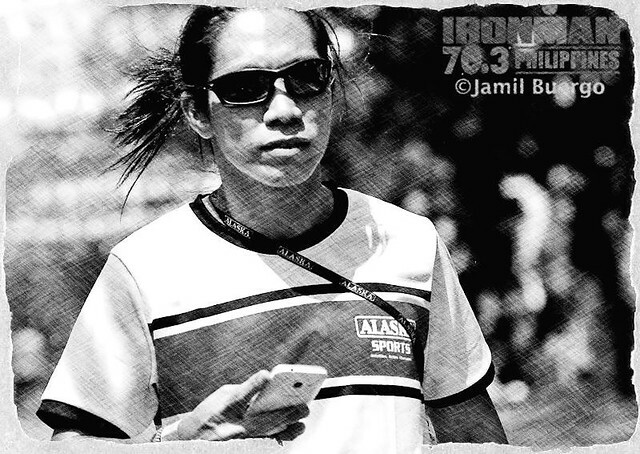 During the Cebu coverage of Ironman 70.3, I had the privilege to have Ford as my service car, picking me up at the airport or take me from the hotel to the race venue. The Jr. NBA/Jr. WNBA coverage in Baguio with fellow bloggers was very memorable because we got the chance to visit the very famous La Presa. It also gave way to a hosting gig during the send off party for the Jr. NBA – WNBA All Star Team. Thank you, Alaska Sports Team! 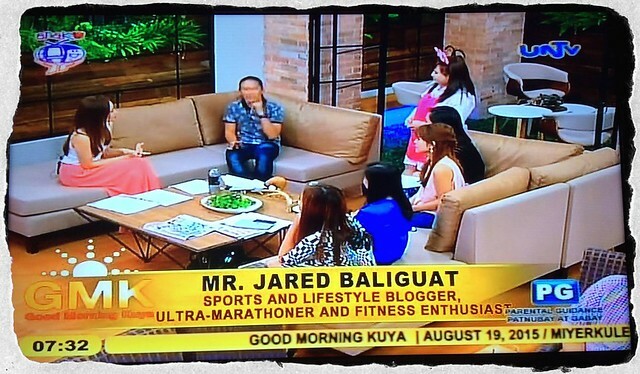 As a blogger, a runner and a fitness enthusiast, UNTV, through the recommendation of my friend Tonette Nicholas, invited me to talk about smart watches that have special features in their morning show Good Morning, Kuya. Being my first time to go live on a TV show, I really felt nervous that I got cold sweaty hands and a dry throat. The show’s host were very nice and accommodating that 5 minutes went by unnoticed. I thought that it’s going to be my first and last but I was wrong. The show’s Segmet Producer Jay got me on the show twice. Thanks Tonette and Jay! Quite frankly, I’m not the kind of blogger who would get invites to huge and grand events and product launches. I rarely receive invites even. But it’s not a biggie for me. 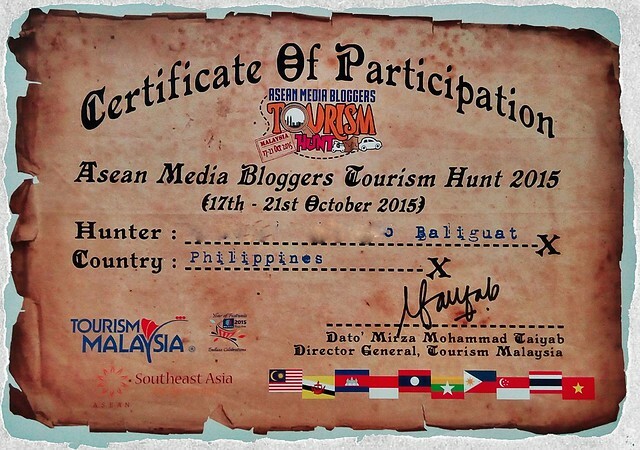 Despite of that, I was honoured to have been invited to join the ASEAN Media Bloggers Tourism Hunt, which was organised by Tourism Malaysia. 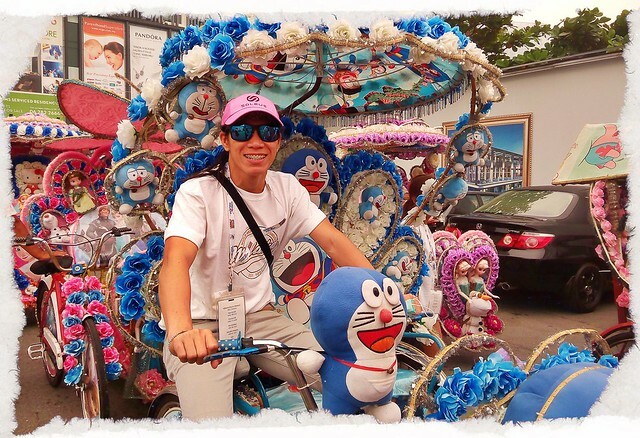 The six-day itinerary was full but I was able to squeeze in some “me” time like running at the KLCC Park, a quick drop by at the Suria KLCC to get some Malaysian Ringgits, exploring the roads in Port Dickson or shopping at the Jonker Walk in Malacca. The mega fam experience included a visit to the Malaysia Tourism Information Centre, watch the grand and colourful Citrawarna @ KL, and got up close with the Petronas Towers. 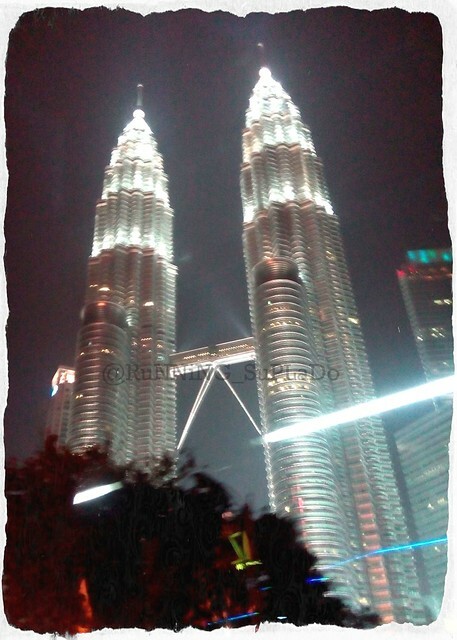 Up-close with the imposing Petronas Towers in Kuala Lumpur. The Malaysia Tourism Hunt saw us on a long road trip from Kuala Lumpur to Port Dickson, Malacca and Putrajaya, visits to museums, a quick drive to the Ostrich Farm and ran with the ostrich, experience best accommodation in best hotel, and experience a fast internet connection. It was also a chance to learn more about Malaysia and its culture, aside from its being a neighbouring country, and meet bloggers from other ASEAN countries. The Malaysian Tourism Hunt was an absolute experience. There were so much fun and adventure in all those six days. Thank you, Klay and Bianca! Indeed, 2015 was a year to reckon. There’s too many stories to tell; there’s a lot of experiences to learn from, and endless memories to treasure. THANK YOU, God for continuously blessing me with wonderful people, opportunities, a good job, for my friends and Family. Cheers to a more fruitful, more rewarding and more awesome 2016!